SCAR HEAL CREAM is a blend of Comfrey (Symphytum officinale) , Arnica, Hypericum, Gotu kola, Goldenseal, and Calendula extracts with a Vitamin E cream base. The quick healing properties of Calendula are due to unique antiseptic and astringent compounds able to seal and protect the open wound, as well as purify the area by fighting the unwanted germs and stopping the infection. Gotu Kola has similar skin regenerating properties. Gotu Kola has been included in many wound healing products, in Europe in particular, as the evidence of multiple studies demonstrated significant skin healing properties. 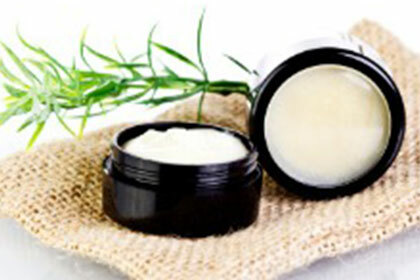 Our Scar Heal Cream is hand made by our herbalist using 20% herbal extract.